In Gabriel Garci a Ma rquez's novel One Hundred Years of Solitude, a character articulates the fascination goods, technology, and modernity held for many Latin Americans in the early twentieth century when he declares that "incredible things are happening in this world." The modernity he marvels over is the new availability of cheap and useful goods. Steven Bunker's study shows how goods and consumption embodied modernity in the time of Porfirio Di az, how they provided proof to Mexicans that "incredible things are happening in this world." In urban areas, and especially Mexico City, being a consumer increasingly defined what it meant to be Mexican. In an effort to reconstruct everyday life in Porfirian Mexico, Bunker surveys the institutions and discourses of consumption and explores how individuals and groups used the goods, practices, and spaces of urban consumer culture to construct meaning and identities in the rapidly evolving social and physical landscape of the capital city and beyond. Through case studies of tobacco marketing, department stores, advertising, shoplifting, and a famous jewelry robbery and homicide, he provides a colourful walking tour of daily life in Porfirian Mexico City. Emphasising the widespread participation in this consumer culture, Bunker's work overturns conventional wisdom that only the middle and upper classes participated in this culture. 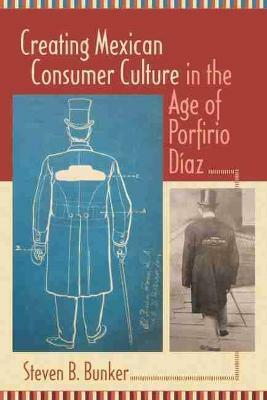 "Steven Bunker has written a very well researched, original, and fascinating account of consumer culture in Mexico City during the late nineteenth and early twentieth centuries."